SanGiacomo's production philosophy is based on research into new materials and functional, technical and innovative solutions to its clients’ furniture needs. State-of-the-art technology and rigid quality assurance checks through all of its processing procedures ensure that all SanGiacomo furniture is aesthetically pleasing, while not losing anything of the comfort and functionality. The quality and craftsmanship of their product can be seen throughout all SanGiacomo lines. 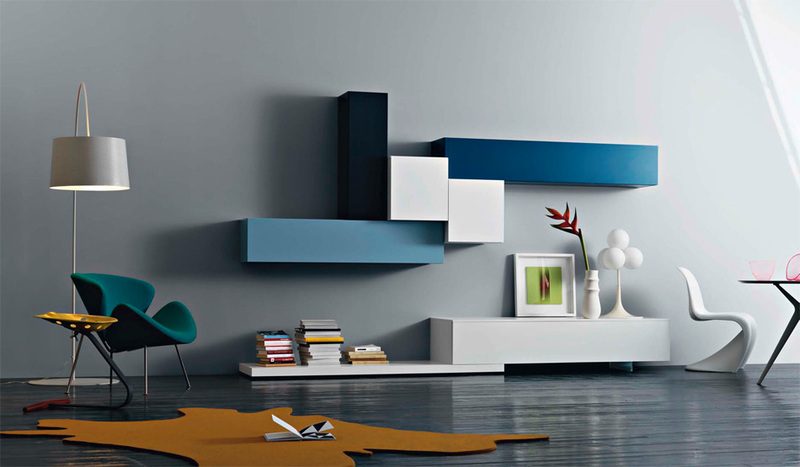 Customizable wall units such as the Alias, Hang, and Support will make your home look like the museum of modern furniture. SanGiacomo also has a full line of beautiful Italian platform beds and case goods such as the Atelier, Bambo, and Brio. Their bedroom furniture will transform your room into that of European royalty. SanGiacomo has focused continuous attention towards market development on an international scale, pursuing besides visual and functional quality, also the accurate selection of materials. This gives SanGiacomo products an added value that differentiates them from the competition. Moreover, the breadth of the SanGiacomo range provides flexibility of solutions that cater to every need, while the different colors and finishes enable exclusive furnishing arrangements to be achieved.